The Equinox DJ Booth Boom Box Design Lycra will make your DJ booth stand out from the competition. 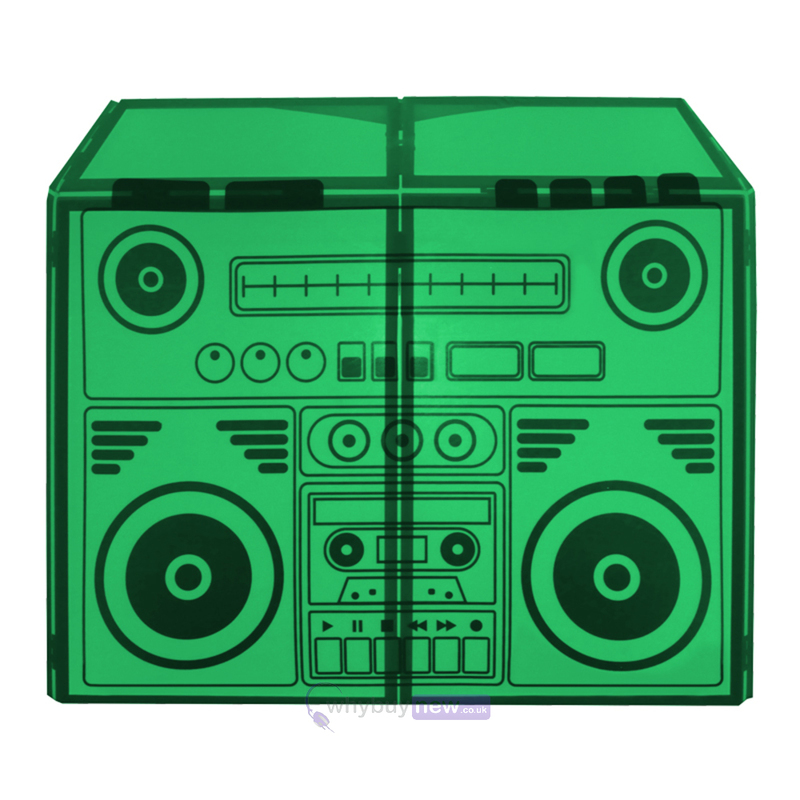 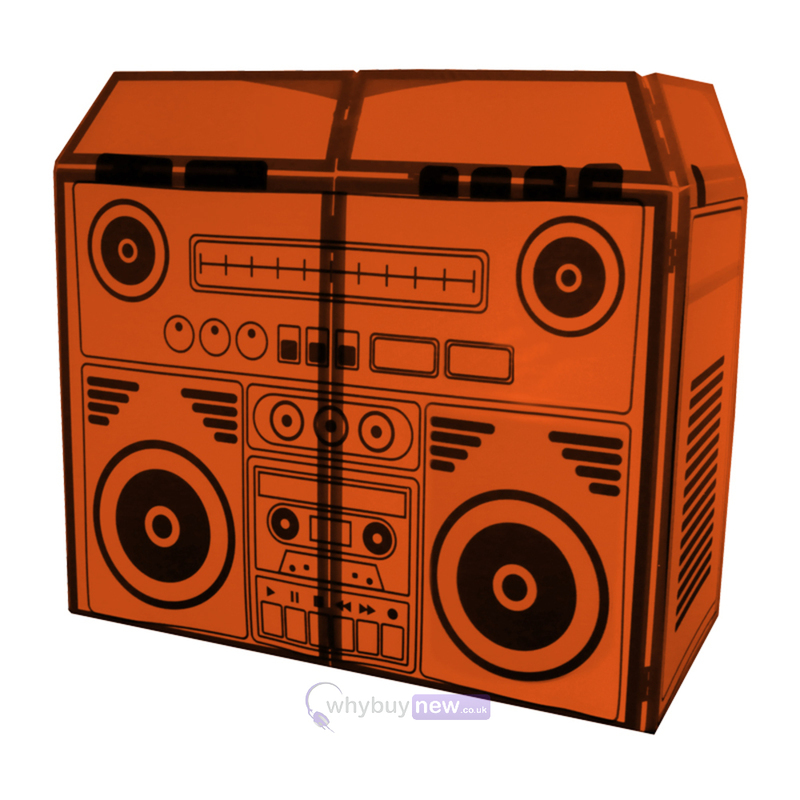 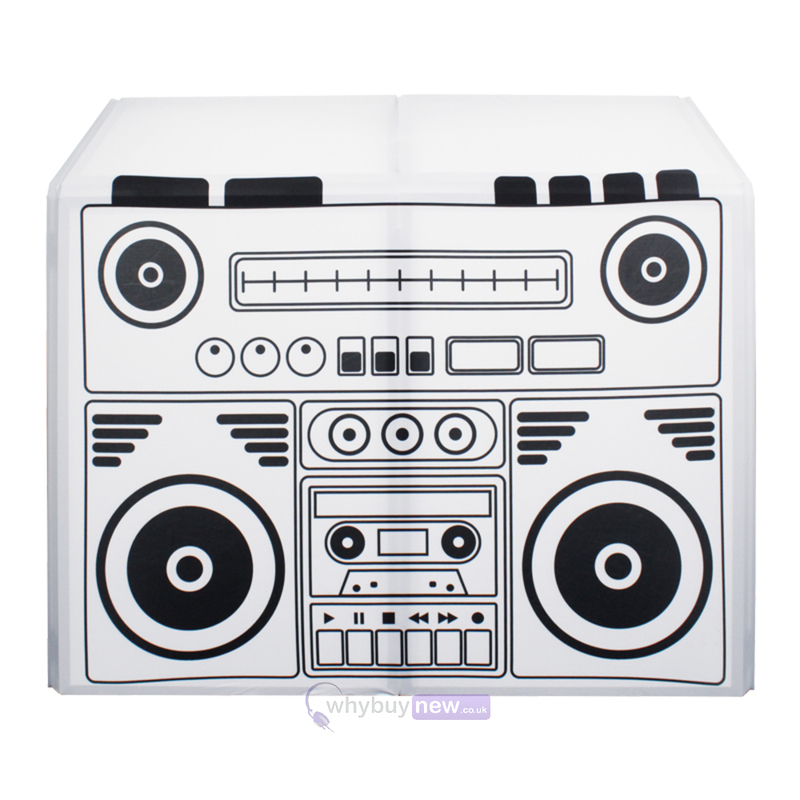 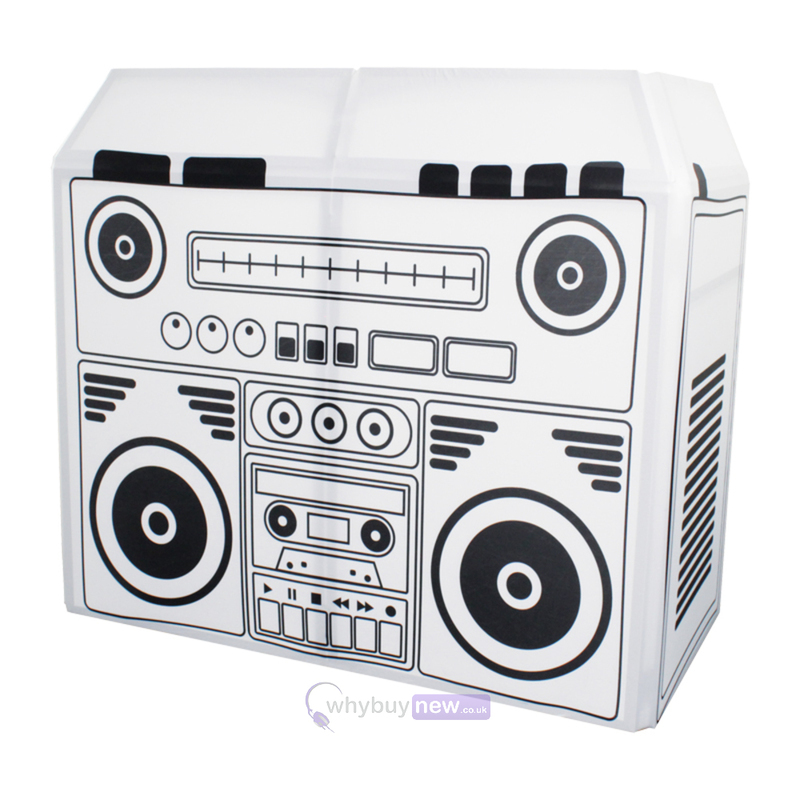 This portable and lightweight DJ booth cover comes in a black and white design which you can shine multi-coloured lights through to add an element of fun to any eighties-themed or kid's party. 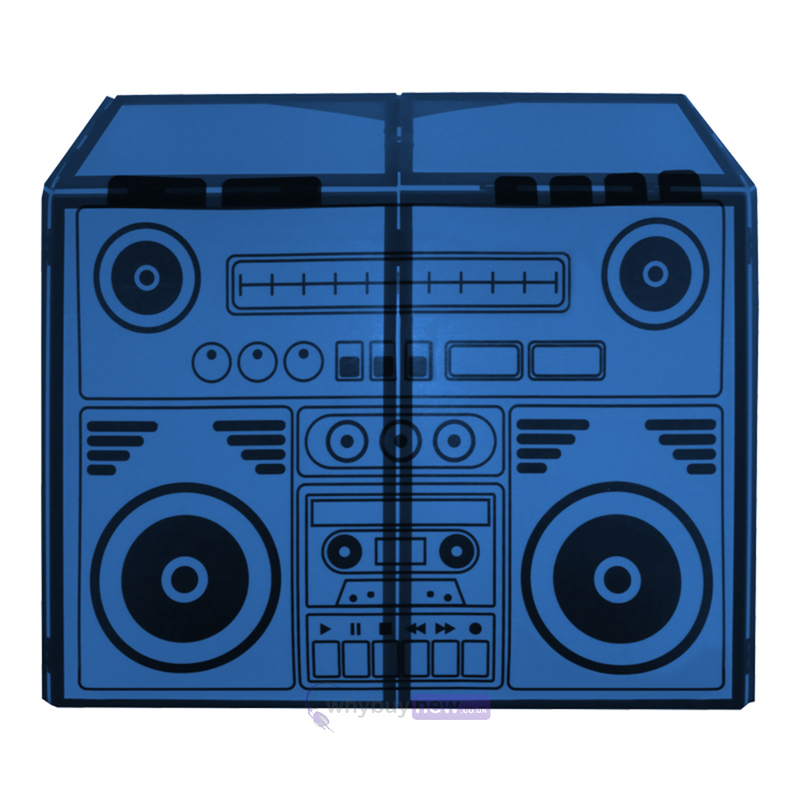 Optional Boom Box design lycra. 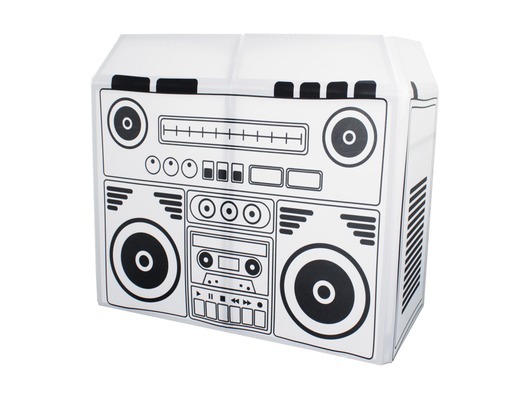 Fits Equinox DJ Booths and other similar products.